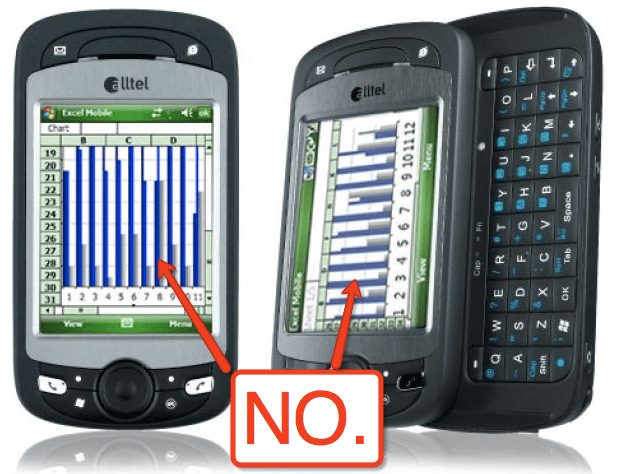 One of my general rants about Tablet PCs is the lack of compelling software. Sure Microsoft splashed some “touch features” across the OS, but for the most part it’s a trainwreck. Apple won’t do this. Everything that ships on the iPad will be designed completely to work in a touch fashion, or it won’t be included period. I’m still torn between whether it’ll be a version of OS X or a version of the iPhone OS, but either way, the device will ship with oodles of applicable software, custom-built to be great in gesture, touch, multi-touch, or even by looking at it the right way. I stated in my last post that a possible product category is just a heads-on Kindle killer. I’d characterize this as a small opportunity – yes, it’s been great for Amazon, but the market for “better than Kindle e-readers” is small. The only small product Apple still ships is the Apple TV, which they’ve characterized as a hobby product (and rightfully so) from day one. Granted they haven’t actually said anything about the iPad yet, but their PR machine is too smart to let this much buzz build up and fall that short. Then again, if this thing doesn’t come with an espresso maker and difribulator, some people are going to be disappointed. Even though the modern day Mac world is based on Unix and has a wide developer base with tons of open source projects, it’s pretty safe to call Apple a company that chooses the proprietary path more often than not. And while this might frustrate many, the benefits of typically stable products are certainly appealing to the masses. I expect the iPad will sit somewhere between the iPhone, with individually manually approved apps, and the OS X platform. Based on the reports today that some apps are supposedly already being run on the iPad (of course these reports prove absolutely nothing, as it could either be an updated iPhone with a new OS, or simply another “labs” product running around campus. but where would modern tech blogging be without unsubstantiated rumor circulation and amplification?) , my leaning is a differentiated version of the iPhone OS, with more leniency in app approval, but still not open. Many will complain, many will profit, and many will love it. Unlike the Microsoft approach to “ecosystem” – where everything other than the Xbox is able to view and edit Excel spreadsheets – my hunch is the iPad is all about lifestyle, the Internet, and entertainment. I’d guess there’s a native version of Safari, some kind of simple email and calendaring, and that’s about it. I think Apple doesn’t have any interest in trying to build buzz or sales into the corporate world, and will instead stay close to their home turf with consumer appeal. I’d go so far as to say it’ll be fun to use, and the new user experience will center entirely around delivering entertaining content. Okay, this is one of those “I think I’m right, but what if they really figured it out?? ?” things (Google didn’t really, and they’ve got some smarty folks too). Supporting all the US carriers is cost prohibitively “impossible” – you’d need a minimum of 2 different antennas/chips and the relationships in place. Doing this adds to cost, which is transferred somewhere (consumers), and for the most part neither manufacturers nor consumers like to have “wasteful” componentry. Which means it’s much more likely there’s either multiple SKUs, or only one carrier. And since the former isn’t very Apple-y, it’s much more likely there’s only one carrier involved – or none at all (which makes some sense, if this were 1997). Further, this gets messy when we consider Verizon, the best network in the US, as their CDMA platform is unused in Europe, a place where Apple sells a lot of stuff. Lots of hot trends in the technosphere, from Twitter to FourSquare, from App Stores to Cloud Computing. But Augmented Reality is actually an interesting one, has more usefulness than others, and is right up Apple’s alley. I’d predict there are several native applications and services that provide very cool augmented reality features. I’m firmly in the camp of one or more cameras on the iPad, and I think Apple will include one or more fun exploits of the concept from the get-go. I don’t know if it’ll be as awe-inspiring as PlayGunman, our amazing lasertag on iPhone game, but hopefully it’ll be close (disclosure – I’m extremely involved in it. also, I’m joking around – if Apple can’t make our game look like Adventure on the 2600, I’d be stunned. and it’s not like our guys are slackers, but it’s freaking Apple). Apple will definitely do some kind of boundary-pushing move with this device, and I’d hunch that augmented reality is one of the areas they could truly make us think a little differently.